Clifton Park is rich with nightlife, shopping, and attractions. Whether you are in town to check out the Erie Canal, Peebles Island State Park, or to birdwatch at the Vischer Ferry Nature and Historic Preserve, a toothache is a troubling time. A tooth pain must be treated as quickly as possible to prevent further issues from arising. Fortunately, there are Clifton area dental specialists available to help you during your dental emergency. 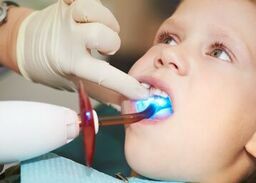 When you need to find a dentist in Clifton Par, emergencydentistusa.com is here to help. We have put together a list of area dentists to present to you. All that is left for you to do is go over the list, choose the dentist you wish to visit, and give them a call. If you want further assistance, call our toll-free dentist finder hotline and we can help. Our hotline team is there to listen to your needs and to help you find the dentist or specialist you need. We will go over with you the list of dentists, tell you their hours of operation, and we can even schedule your appointment for you. We recommend that you arrive a minimum of 15 minutes early to your appointment to provide time to fill out necessary paperwork You will want to bring with you your ID, insurance card, and payment method. It is helpful also to bring a list of current medications you are taking and any allergies you have. You may be concerned that your options are limited while you are in Clifton Park, but that is not the case. There are many dentists and dental specialists such as oral surgeons, pediatric specialists, and more available. Before consulting a specialist, consult with a general dentist. If they see the need for you to see a specialist, they will refer you to one. Description: Clifton Park Family Dentistry wants to exceed your expectations by offering the highest quality advanced treatments. The staff provides many services such as fillings, crowns, pediatric dental care, dentures, root canals, and much more. They welcome new patients and are available 24 hours a day 7 days a week for emergencies. The office accepts most major insurance plans and financing is available. Description: Clifton Park Dental works to make your appointment as comfortable and efficient as possible. The staff offers a full range of dental services such as preventative, restorative, and cosmetic dentistry. The office offers financing through a third party service. All payments are expected the day of service. Emergency care is provided. Description: Family Dentistry Clifton Park NY offers high quality services since 2004. They are qualified to help with all your family’s dental needs. They specialize in family dentistry, cosmetic dentistry, crowns, root canals, implants, restorations, dentures, and more. They accept many insurance plans and all major credit cards. Tooth pain that lasts longer than an hour requires prompt treatment. It could be a sign of a serious issue and left unchecked it could lead to further complications. If the pain you are feeling is from an accident, go visit the ER to rule out any serious injuries. Before you visit a new dentist, take the time to do your research and check out their license. This can be done by visiting the New York State Dental Association website and searching the dentist’s name. You may also check this information when you go to your first appointment by asking the receptionist.